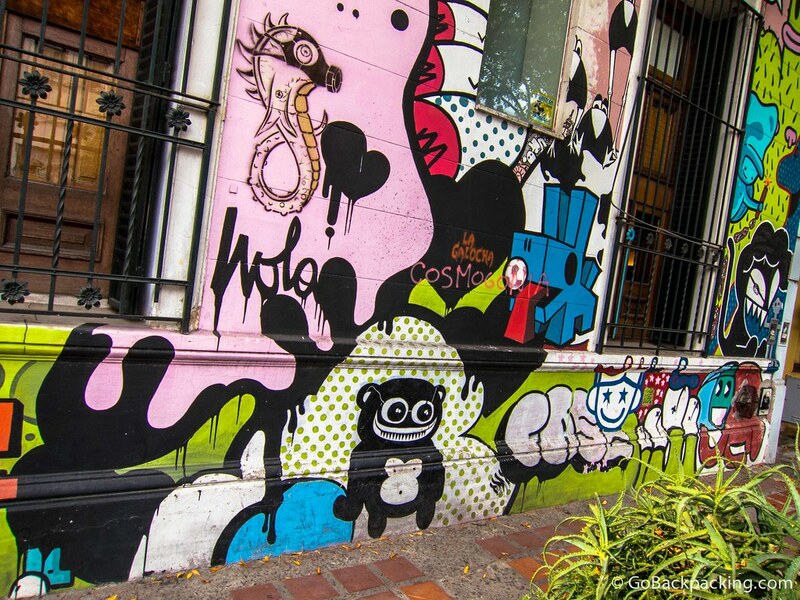 One of my favorite activities of 2012 was a graffiti tour in Buenos Aires. I used Graffitimundo, which I was referred to by friends. 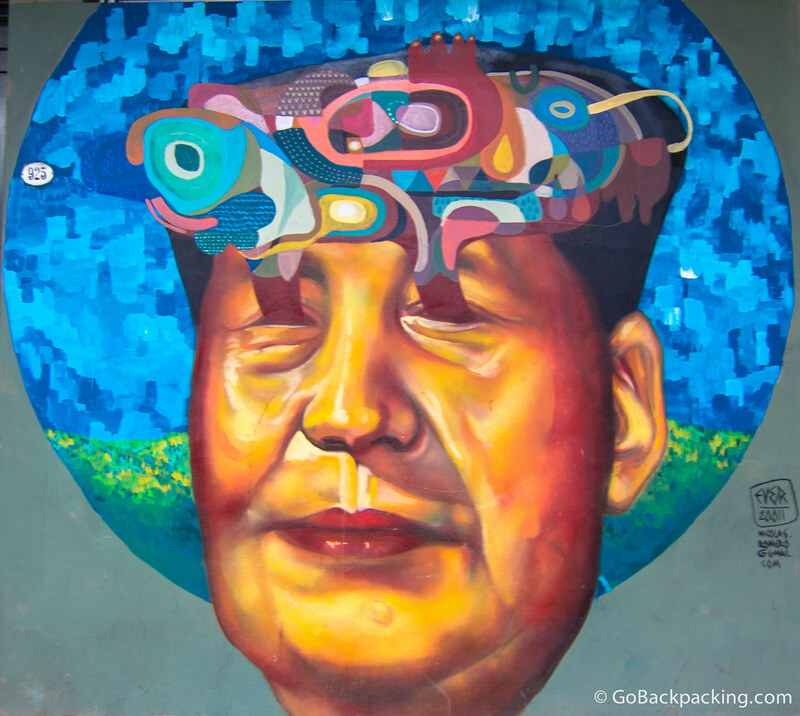 Living in Colombia, I grew accustomed to seeing a lot more street art than I ever saw in the USA. And the quality was often excellent. 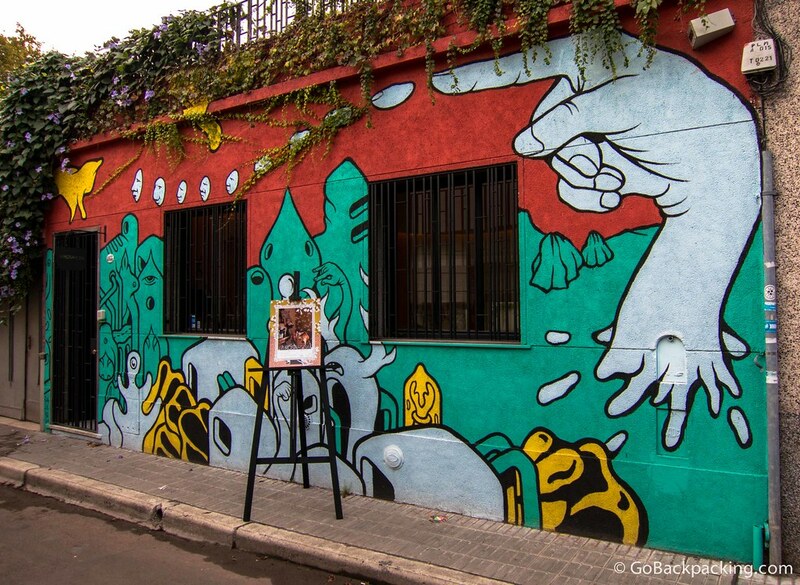 During the graffiti tour in Buenos Aires, which lasted about two hours, and was conducted around the Palermo Soho neighborhood, we learned about the history and culture of street art in the Argentine capital. 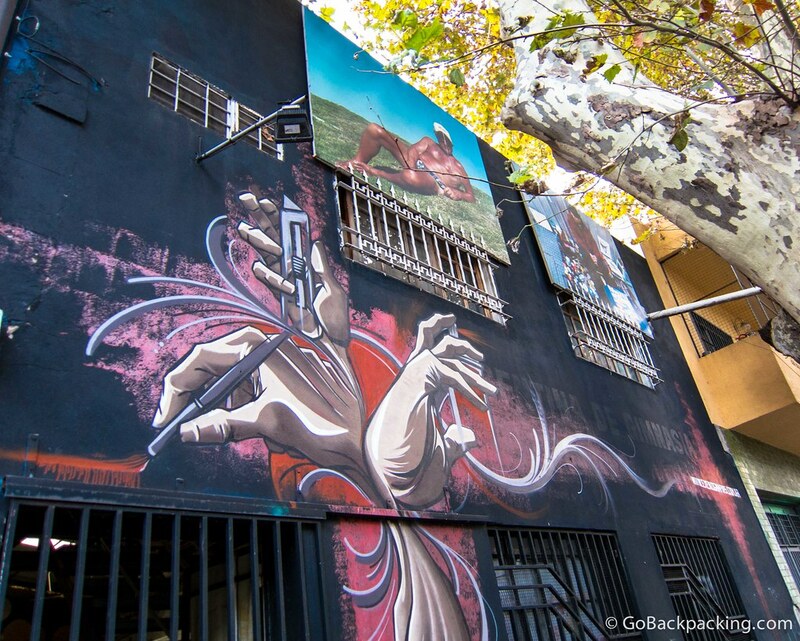 Interestingly, artists can only get in trouble with the police if the property owners report them. 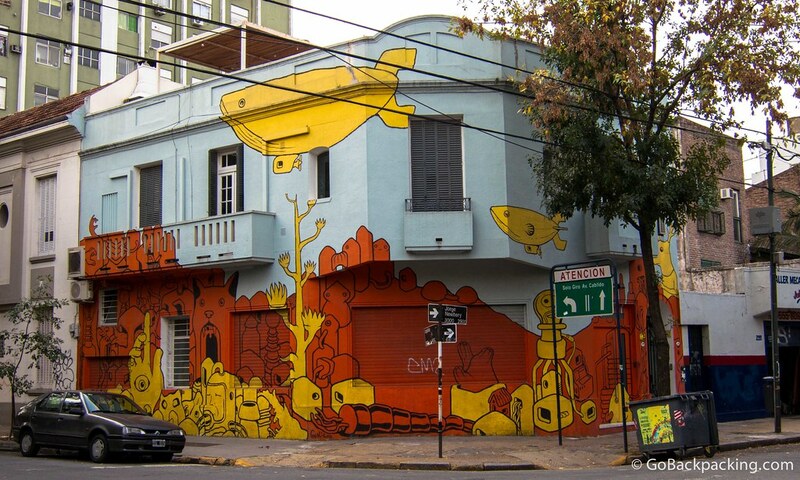 And because many residents view the graffiti as real art, they are often OK with their buildings being used as canvasses (especially by the top artists). I've pulled together some of my favorite scenes from the tour, but this barely scratches the surface of what's on display in just one neighborhood. The left is a piece based on the famous painting, Napoleon at the St. Bernard Pass, by Jacques-Louis David. 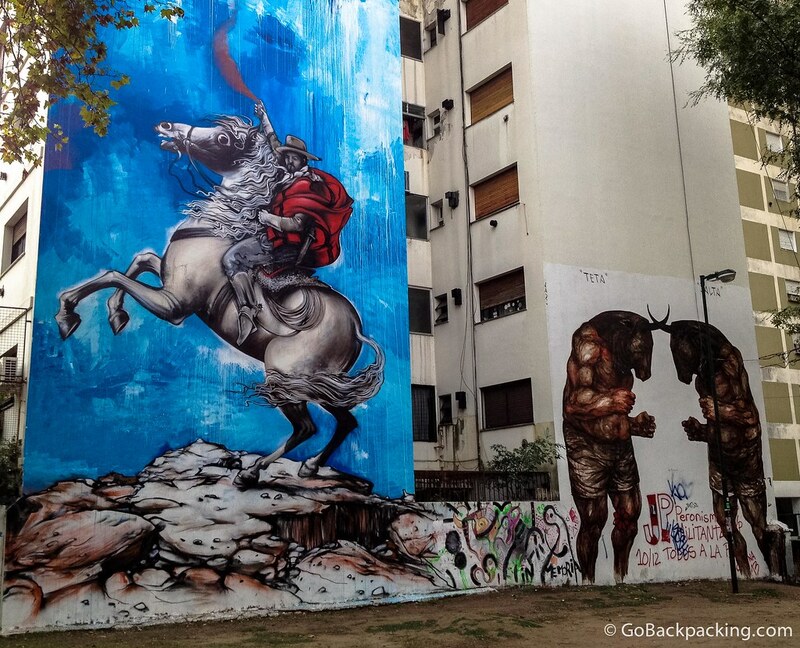 The piece with the boxing bulls to the right is by Jaz, an Argentina artist. 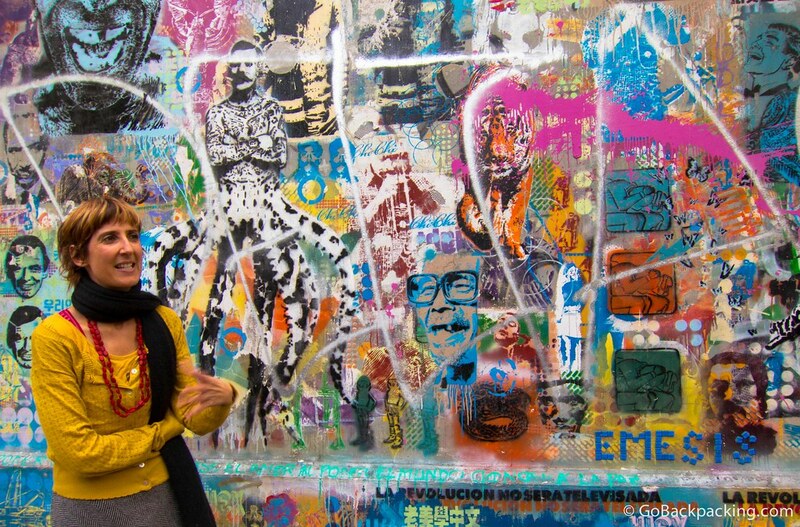 Our guide chats about the montage of stencils and graffiti on this wall. Can you spot the stencil of Robert de Niro? Wow this is all awesome looking! 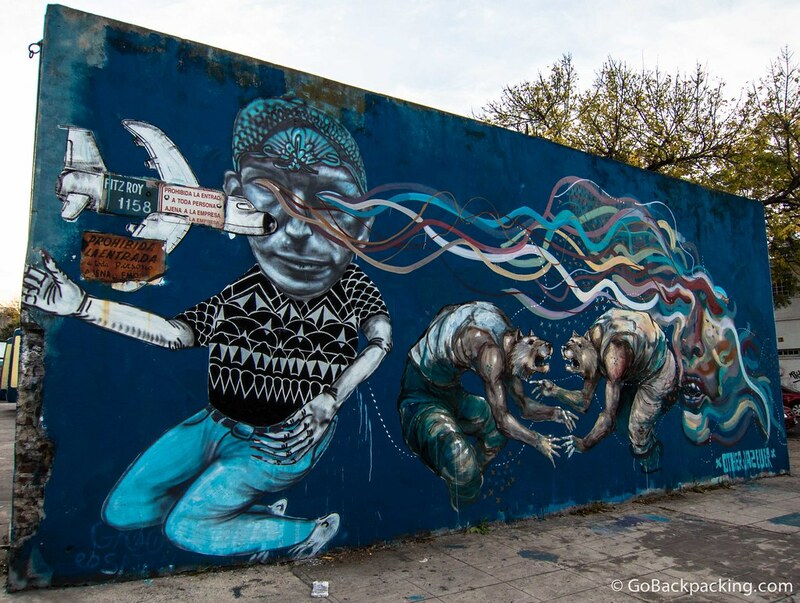 I adore all things street art (London’s particularly good for it, especially the East End), but I’ve never seen anything quite like those photos. 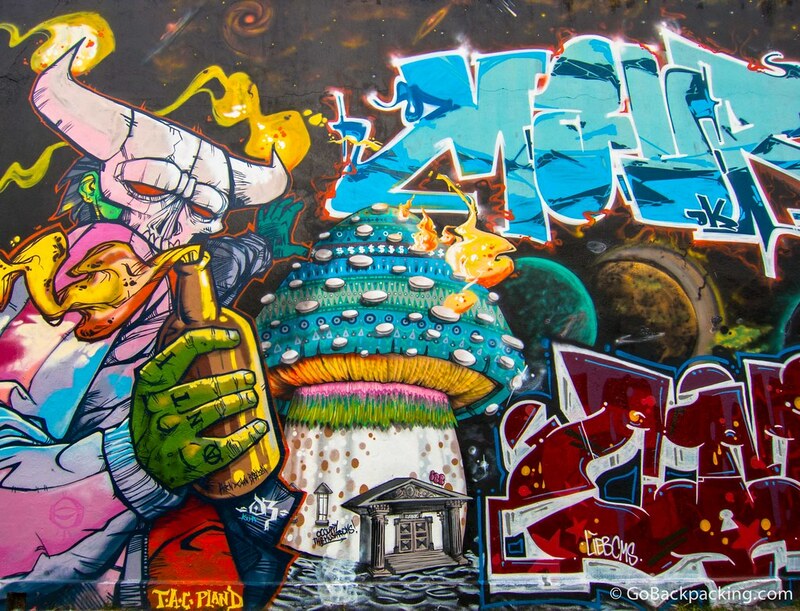 The nearest I’ve come to such expressive urban art is Lisbon. Makes me want to head over there to check it out. 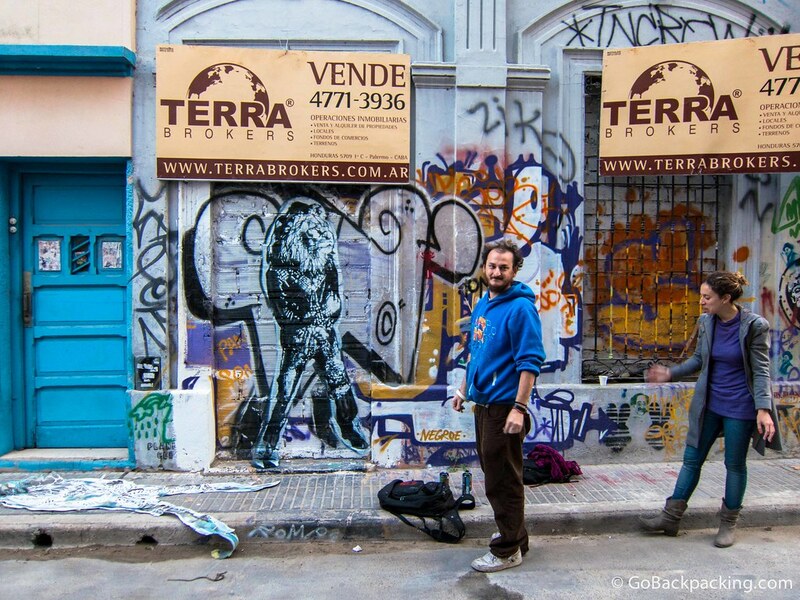 Yea, Buenos Aires is amazing for it because it’s so well tolerated. Of course there is also a lot of tagging, which I think is very ugly. 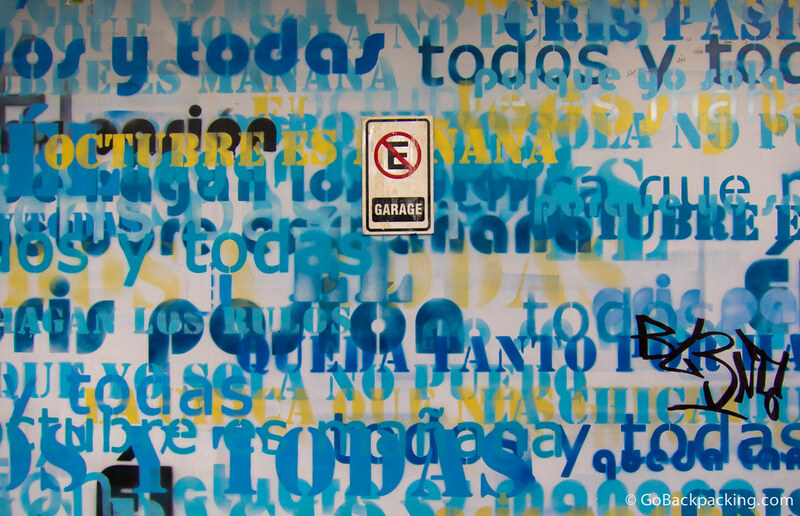 A lot of us asked the guide how tagging could be lumped together as “art” alongside the kinds of pieces I’m sharing here. Her explanation was that some of the artists get there start tagging, and from humble beginnings, they can develop into serious artists. In other words, without the tagging and obnoxious graffiti, you wouldn’t get the beautiful graffiti. Dave, these are outstanding shots! I dont know which to be more impressed with first: the art- or how you managed to capture such large and colorful pieces in a lovely way. I took the same tour and it was simply amazing. 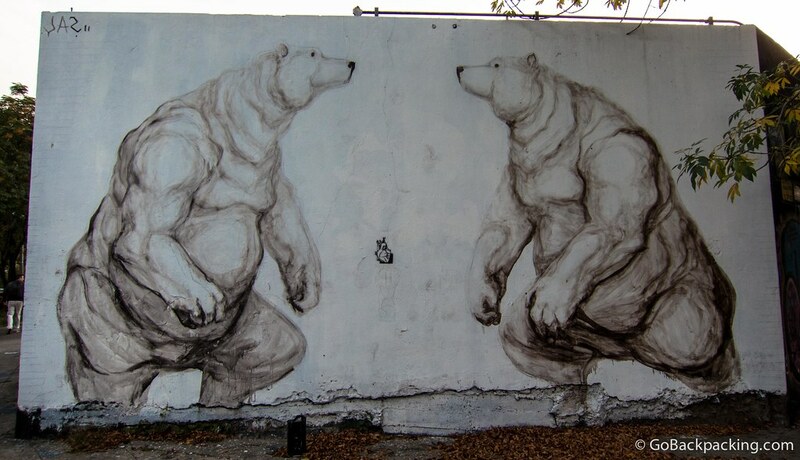 I love street art. 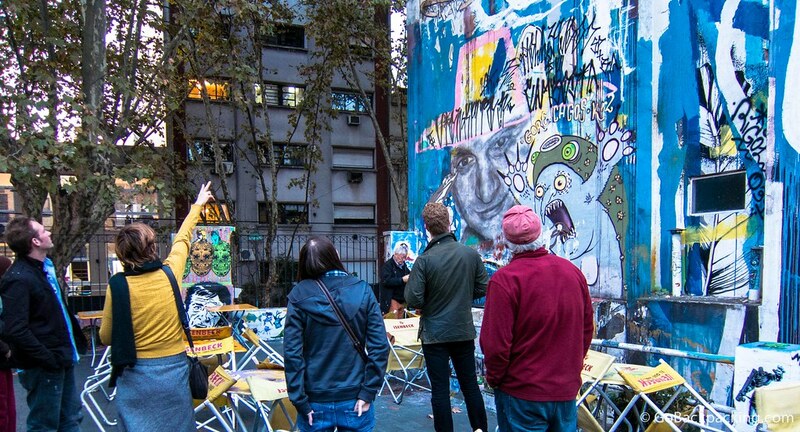 I’ve never heard of a graffiti tour, though…interesting.